Why a Beach Wedding in Destin Fl? 1. Location: You don’t have to go to the Caribbean for powder white sands and pristine waters. The Emerald Coast is the first easily accessible beach destination for many Southeast states, making it the second most popular drive-to destination in Florida. There are also three airports offering a variety of convenient flights into the Destin area. companies and can connection you to the right businesses based on your budget. 3. Endless Options: Our area spans 40 miles of beach ceremony locations, accommodations and venues to fit any budget. Activities for your guests are plentiful as well, including golf, fishing, shopping, dining and entertainment options. 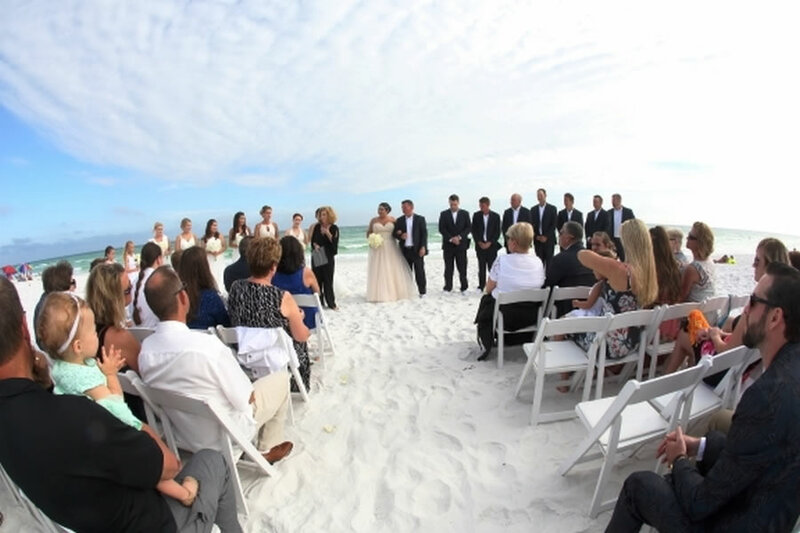 Our wedding planners can help identify the right Destin wedding venues and agenda for you. 4. Year-round Destination: The Destin area has evolved into a year-round destination, offering amazing weather, cultural events and activities throughout the year. 5. Unforgettable Experience: Having your Florida destination wedding on the beaches of Destin gives you and your guests an amazing experience. Your wedding doubles as a beach vacation for your guests and you can save travel costs for your honeymoon by extending your stay on the Emerald Coast.